While at Berkeley, Princess Manuel took a class that opened her eyes to her Filipino activist roots, to discovering the activist spirit within her immediate family — and all the way up to her work today as co-founder of AF3IRM and Women of Color for Progress. In her leadership roles at Women of Color for Progress and AF3IRM, Princess spends her time exposing and dismantling patriarchy, racism, and class oppressions via collective holistic healing practices, transnational feminist activism, and electoral politics. 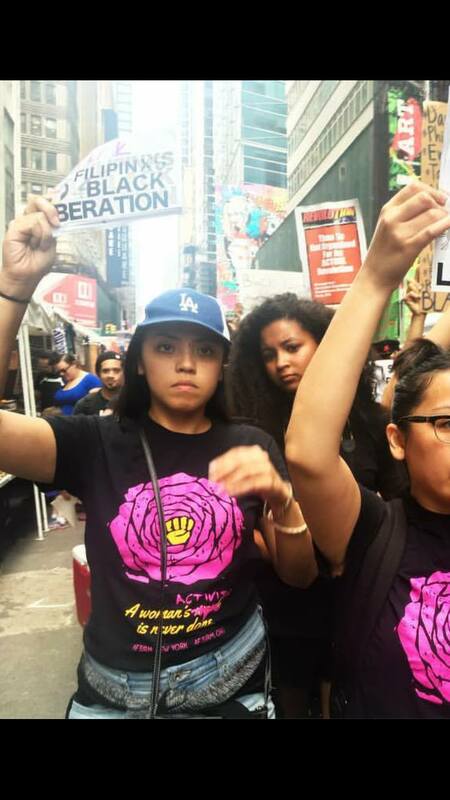 Women of Color for Progress (WCP) is a multi-strategy political organization founded by women of color for women of color. Through a racial equity and intersectional lens, WCP empowers women of color to excel, lead, represent, and be heard. WCP aims to create an inclusive and transparent political system that focuses on progressive human rights legislation. Ultimately, WCP hopes to not only elect women of color into public office but also create a pipeline of women of color political leaders. AF3IRM has chapters around the country. These include: Boston, Central Coast, DMV (DC/Maryland/Virginia), Hawaii, Los Angeles, New York/New Jersey, Orange County (formerly Irvine), San Diego, San Francisco Bay Area, and South Bay – Los Angeles. Organizing committees are also actively building new chapters in other areas. Interested in building an AF3IRM chapter? Contact chair@af3irm.org for more information.